Created by artists with ties / membership in "Order of Runeberg"
Désirée Saarela visited our IOR west coast lodges in 2008 (singing and playing for the FOR Dancers from Finland). Now Désirée Saarela has made an emigrant related CD about her own relatives that emigrated to Canada. The CD is called "Tidsemigranten", with songs in Swedish and English. On this, her second album, singer-songwriter and guitarist Désirée Saarela is accompanied by Kirsi Vinkki (violin, glockenspiel, jouhikko) and Samuli Karjalainen (bouzouki, kantele, harp). 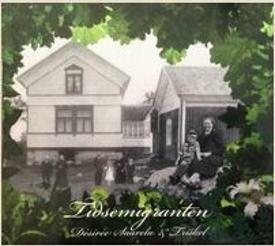 Saarela draws inspiration from 'the Great Migration' of Finns into North America in the early 20th century..
Click the album cover to order the "Tidsemigranten" CD or individual tracks (MP3) from the CD. Lauren Rioux's fiddle curriculum. JamWithLauren.com provides instruction on popular fiddle tunes and the techniques used to play them in social settings. If you’re a fiddler who wants to learn more about playing good back up and improvising, a classical violinist who wants to play by ear and sound authentic, or a brand new beginner, these lessons are set up for every student to be successful. 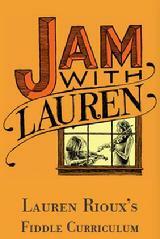 Jam With Lauren Members have access to over 350 videos and counting. Lauren guides you through learning tunes, creating your own left hand & right hand variations on melodies, and how to hear & play chord progressions. Each tune includes a video to jam with, and a play along track to download. Theory is explained in a way that will make sense on your violin, and Lauren offers insight on good technique and practice tips. Unofficially affiliated with Yale University, each band member brings creativity, imagination, and taste to traditional bluegrass music to this CD, with a few excursions into other music in the bluegrass style. 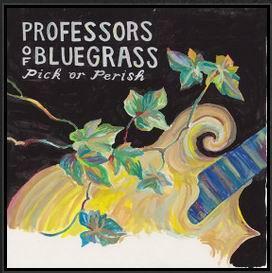 Click the album cover to order "Professors of Bluegrass" CD or individual tracks (MP3) from the CD. Linnunrata (the Finnish name for the Milky Way, literally "the path of the birds") is an ensemble dedicated to contemporary interpretations of traditional Nordic folk music, with an emphasis on dance tunes from Finland, Sweden, and Norway.